The Probiotic Market is expected to grow at a CAGR of 7.1% during the forecast period (2017-2022). The global probiotic market has been driven by many pivotal factors such as the increasing consumption of the probiotic product in the food and beverages industries, ability to treat the gut related disorders, rising health concern of the people and so forth. Additionally, increasing investment in innovations and technological advancement by market players and rising disposable income across the globe will further boost the probiotic market. The cure for the gut related disorders through probiotics will create significant demand for probiotics in near future. Usage of the probiotic products for the treatment of diseases like diarrhea, inflammation, and gastric diseases are the main reasons that probiotic products can be used as an alternative to pharmaceuticals products. Probiotics are microorganisms, such as the bacteria and yeast that supports humans and animals by keeping gastric microbial balance. Probiotic components stimulate the natural digestive juices and enzymes in the body to ensure proper functioning of the digestive system, and can be administered through food or in the form of supplements. Furthermore, the probiotics protect healthy organisms from harmful counterparts. In the present scenario, probiotic products are employed to diagnose mental illness, and treat digestive problems and neurological disorders. Growing health concerns across the globe and rising obesity will create significant demand for probiotic market. Animal probiotics are increasingly adopted across the globe to avoid disease outbreaks and better productivity. Animal husbandry is on rise so the industry players have to ensure proper health of animals to avoid losses increase production. The success of probiotics to limit animal diseases and disorders will further boost the market. Moreover, increasing gastrointestinal infections, digestive problems, vaginal infection, and so forth will further boost the probiotic market. Global probiotic market players such as Abbott Laboratories, Medtronics, Edwards Life Sciences, St. Jude Medical and so forth are investing in R&D for developing innovative probiotic products to treat various such infectious and non-infectious diseases. Asia Pacific is predicted to dominate the global probiotic market with highest market share by significant revenue generation due to high adoption of probiotic based food and beverages. Japan, India, and China will carry on being the most revenue pocket owing and the rise in aged population, and health conscious consumers. North America is growing considerably followed by Europe due to growing popularity of probiotics by increased awareness and high disposable income. The companies contributing in the global market includes-Amul, BioGia AB, Dupont Nutrition and Health, China Biotics, Nestle Nutrition and so forth. Top companies are focusing on both human and animal probiotics to stay competitive. The players compete on the factors such as price, quality, innovation, reputation, and distribution. Additionally, regional, global, and local economic conditions and demographic trends also affect the businesses across the globe. Probiotic market is segmented on the basis of application, strain type, and user. The major segment in Probiotic Market application, strain type, and user includes: Probiotics food & beverages, probiotics dietary supplements, animal feed probiotics, lactobacillus, streptococcus, bifidobacterium, yeast, spore formers, human probiotics and animal probiotics. Account of rise in awareness and changes in eating habits led to increase in demand of probiotic products in across global market.  Comprehensive research methodology of Probiotic Market. Analysis of regional regulations and other government policies impacting the Probiotic Market. Insights about market determinants which are stimulating the Probiotic Market.